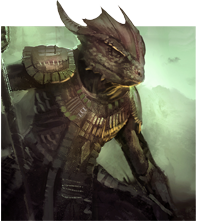 The Argonians are possessed of a cool intellect, and are well-versed in the magical arts, stealth, and the use of blades. They are also guerilla warfare experts, long accustomed to defending their borders from invaders. They often serve as the scouts and skirmishers for the forces of the Pact. Restore 2/5/8% Max Health, Magicka and Stamina when you drink a potion. Have a all Argonian GUILD if any of you are interested. Xbox One gtag (TM36 KING).